Who Put The Crazy In Christmas?! It’s been a long while since I’ve written an article for my website. Honestly, I’ve been learning how to balance “all the things” pertaining to writing and being heard out there in this noisy world of social media. I finally realized it is a never ending lesson so I should just keep writing. What better way to start again then with my December series titled; WHO PUT THE CRAZY IN CHRISTMAS?! this is an honest, raw and real look into what goes on in my heart, mind and in the lives of my family. 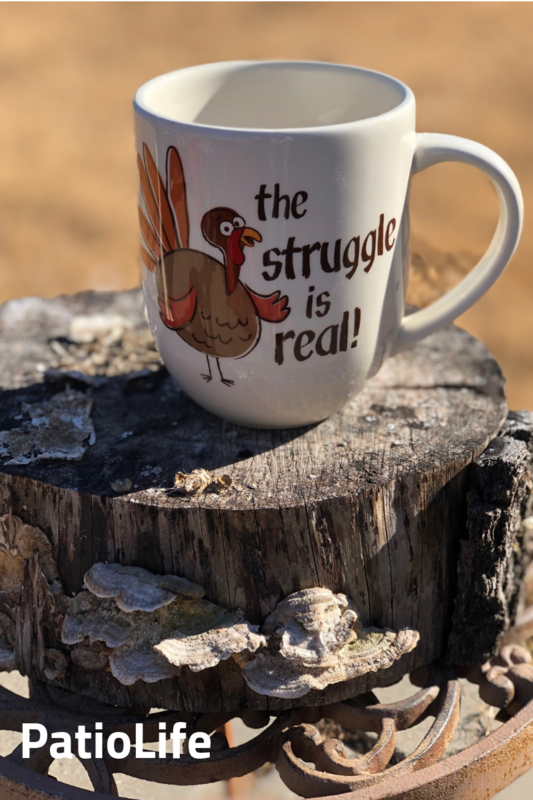 Having just come through Thanksgiving in what seemed like a rush and feeling a little heavy I found it only fitting this morning to drink my hot pumpkin muffin tea in my turkey character mug. I have a reputation with these mugs ya know, they are purely inspirational and great lessons are learned when I sip from them. The mug however cannot take all the credit this time around. There is a song by Kacey Musgraves titled; Family is Family and that has been on replay in my mind for over a week now! https://www.youtube.com/watch?v=DcPi_bOk2-4 I hope you’ll listen and be inspired, brightened and comforted. Having three of my five people in law enforcement guarantees that we never celebrate a holiday on the day or evening of but at an alternate date. This year at Thanksgiving one of our peeps worked from 7 a.m. to 7 p.m. so the rest of us were invited to our daughter’s in-laws for lunch. We enjoyed a wonderful meal of prime rib one of the advantages of being cattle ranchers. While it feels slightly out of place for me not to cook the big meal, or have a ton of leftovers for the week or having all my aunties, uncles and cousins around me it is always good to eat with folks who are genuinely grateful for all that they have and are generous. When it came around to the prayer we were intrigued that not all people pray like we do. We aren’t bad people but when our funny bone gets bumped it’s like a domino effect. You see our family has a history with meal time prayer. When the kids were little one of them prayed for a meal thanking God for every toy in his toy box, we tried several times to say Amen but his little heart was just bursting with gratitude and he went on and on. So, when our host’s prayer lingered awhile and didn’t end with Amen but instead Halleluiah! it was a new meal prayer memory to add to our repertoire. Later when all my peeps were off work and together we gathered for appetizers and Yahtzee and another prayer. This time we added another chuckle; during the cooking of the chicken wings the juice ran off my flat cookie sheet thus causing a stink and smoke so thick that the fire alarms kept going off. Hubs opened windows and turned on a fan I was hoping by the time they all arrived they’d never know…..wrong. So another mom fail meal in the books for me but I went right out the next day and bought the proper baking pan for wings! After the mockery and laughs I remembered I’d done the same stunt several years back, Oh my! Since moving a great distance away from home and all my family and most of Hubs’, I’ll have to say the holiday gatherings and celebrations have been a little lonely, sometimes a lot lonely. But, with just us and our two now adult children and their significant others along with doggies and grandkids we are never void of a good dysFUNctional time! Laughter is guaranteed, hurt feelings are a given, some part of the meal being burnt or ruined is expected, too much talk about work and jobs is a standard, the 25cent swear jar will get a huge payload, board games will be forced and everyone talking about each other after we’ve disbanded is a ritual. Being with family and all of that going on during a single gathering you might ask yourselves…..why? A question I often ask myself before, during and after the gathering. The answer every time is because family is family. Wherever you are and whomever you’re with that you’ve included, adopted in or share the same blood with you are a family. You might look like them, be like them or you might be the opposite of them and you might not even like them…..but you love them. I cannot help but smile thinking of all the different family dynamics especially at holiday mealtime throughout the world. But, as I write this I am at the same time very burdened over the many who suffer great heartbreak, and all sorts of abuse from family. Let us never forget those who suffer or those in law enforcement, public service and military who make sacrifices for us all and are separated from family. 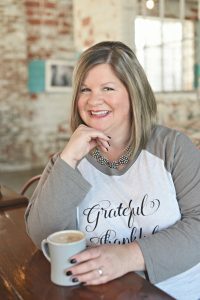 This holiday season of celebrations I hope you’ll join me and appreciate the struggle, it is real; hold each person close and never hesitate to say that you love them! Julie Mahan Copyright © All rights reserved.